We are still overwhelmed by the remarkable turnout for the release of Naturally Brewed, Naturally Better—the Clyde Iron staff estimated over 200 people in the crowd! If you missed it, you’ll want to make it to one (or all!) of our upcoming events on the histories of the Twin Ports’ four major historic breweries. 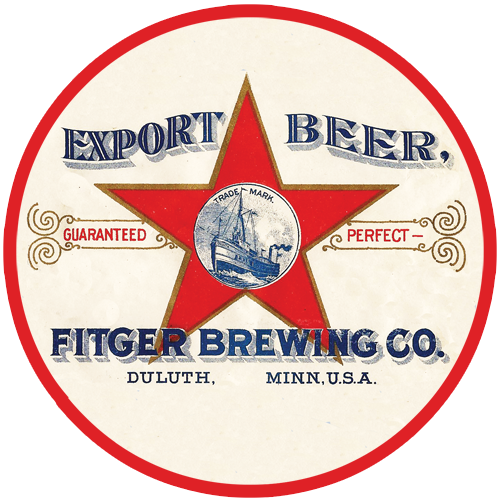 Next up is “Everyone Here Likes Fitger’s Beer: The History of Duluth’s Fitger Brewing Company,” on Tuesday, October 2 at 7 p.m. (doors open 6:30) at the Fitger’s Brewery Complex in a portion of the brewery’s old stock house now known as the August Fitger room—so come get your history where it was made! For details on this and all our upcoming events, click here. Meanwhile, yesterday we delivered the softcover edition to thirty retailers in Duluth and Superior as well as brewery tap rooms and brew pubs including Thirsty Pagan, Blacklist, Lake Superior Brewery, the Bent Tap, and Ursa Minor, so you can grab your copy when you grab a beer if you like. (FYI: It will take a week or so before Barnes & Nobles has it; that’s just how the book biz works these days…). My grandfather, John E. Hey, served as the Chief Chemist at Fitgers for many many years. He introduced us to Silver Spray and we counted/took inventory of the kegs of beer going out each Sunday. Most liked the many taps throughout the warehouse which were beer taps! Hi John! Johnny Hey is mentioned in the book—as we understand it, he also helped the brewers at Northern in Superior. If you make it to our event on Oct. 2, please introduce yourself to me before the presentation starts—I like to point out our living connections to DUluth’s history!